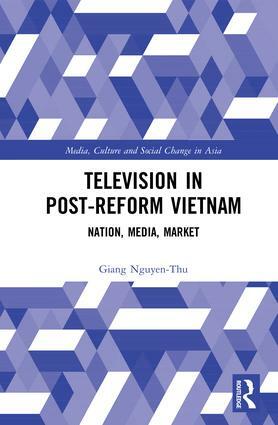 This book explores Vietnamese popular television in the post-Reform era, that is, from 1986, focussing on the relationship between television and national imagination. It locates Vietnamese television in the experiences of everyday life and the prevailing network of power relations resulting from marketization and globalization, and, as such, moves beyond the clichéd assumption of Vietnamese media as a mere propagandist instrument of the party state. With examples from a wide range of television genres, the book demonstrates how Vietnamese television enables novel conditions of cultural oppression as well as political engagement in the name of the nation. In sharp contrast to the previous image of Vietnam as a war-torn land, post-Reform television conjures into being a new sense of national belonging based on an implicit rejection of the socialist past, hopes for peace and prosperity, and anxieties about a globalized future. This book highlights the richness of Vietnam’s current culture and identity, characterized, the book argues, by ‘fraternity without uniformity’. Giang Nguyen-Thu is a postdoctoral fellow at the Center for Advanced Research in Global Communication, University of Pennsylvania. She is also an on-leave lecturer at the University of Social Sciences and Humanities, Vietnam National University, Hanoi.